“Don’t worry, I’ll find lots of things to do.” “I promise, I won’t get bored.” These words are often uttered by well-meaning teens at the start of the summer. They’re relieved to be free from their overbooked, stressful school-year routines and obligations, and don’t want worried parents to plan every day of their summers for them. Don’t be surprised when a couple of weeks later, that same teen is screaming, “I’m bored out of my mind! There’s nothing to do around here.” As a parent, you know what will happen if you don’t take the lead in creating a plan for summer. Your teen will park in front of the computer, television, video game console, or cell phone and won’t get up until the school bell rings in fall. Summer camp is one of the best ways to get teens actively engaged outside of the house. Although camp requires money and research, many parents find that the investment is worthwhile when their teens spend structured, supervised days playing games, making new friends, and exploring new interests. It’s difficult to replicate these benefits outside of summer camp, which is why thousands of teens pack up for camp every summer. With hundreds of camps geared toward special interests, teens with behavioral issues, and teens with special needs, there is no question you’ll be able to find a camp that suits your teen’s needs and interests and equips him with the independent living skills they’ll need in college. Teens aren’t limited to summer school as their only option for summer learning. In fact, summer is the perfect time to engage your teen in non-academic, real-world learning or to explore interests that get pushed aside during the commotion of the school year. Community centers, libraries, and local colleges offer a range of classes that might interest your teen, such as cooking classes, martial arts, fitness or yoga, art classes, dance lessons, and more. For a more active pursuit, consider signing your teen up for a summer sports team or forming your own with neighbors or friends. Your teen will probably learn more practical life skills in one summer job than he will year-round at school, and he may pocket enough money to afford to cover some of his own expenses. Consider simple, short-term tasks like babysitting or lifeguarding, or perhaps a part-time job at the mall, a movie theater, or a restaurant. Summer jobs help teens learn responsibility, time management, respect for authority, budgeting, and the value of hard work. If your family has cut back during tough economic times, having a job may help your teen understand how difficult it is to earn money in spite of taxes, transportation costs, and other expenses. Every few days there are stories in the news of determined teens making a difference in their communities. Gone are the days when adolescence was an excuse for total self-absorption. Now teens are empowered to volunteer their time at churches, animal shelters, senior centers, or soup kitchens, or start their own service projects to aid those in need. They may not be glamorous, but most communities offer a wide range of free or low-cost services to teens and their families. Check the local library, YMCA, college, or health club for movie nights, fairs, live music, and other forms of entertainment. Some offer free or discount services to teens over the summer, and can serve as a safe, active, and educational place for teens with too much downtime. 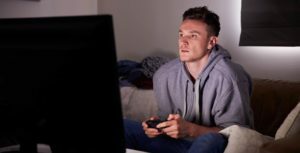 Learning something new, particularly something that piques your teen’s curiosity, is a great way to keep teens away from television and video games and out of trouble. Biking, surfing, fishing, and sports are excellent for physical and mental health, and reading, painting, photography, and other art projects are age-old favorite summer pastimes. You know it’s wise to limit your teen’s use of computers, television, and video games during the school year when more pressing concerns like homework and test preparation are looming. But do all limitations go out the window during summer? Though you may want to allow an extra half hour or hour of screen time over the summer months, there’s no reason to do away with rules and boundaries altogether. If your teen has been in front of the television or computer long enough, let them know that it’s time to put into action one of the other plans you’ve discussed. Structure keeps teens productive during the school year, but too often when structure disappears, so does productivity. Once you have a sense of which summer activities interest your teen, create a schedule and agree on a daily routine, including what time to wake up, when to do chores, and when there’s time for other activities. The more interesting and active your teen’s life is, the less inclined he will be to get lost in virtual reality.